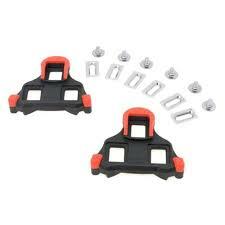 - SPD-SL road racing cleat sets. - Fixed position: 0° float. - Very smooth clipping motion. - Fits 3-bolt road shoes. - Use with Shimano brand road pedals only. - Not compatible with Shimano SPD-R pedals.